Stockholm (NordSIP) – Like a rare ray of light in the dark winter evening, Barbara Stewart visited Stockholm at the end of January to deliver a positive message of hope. 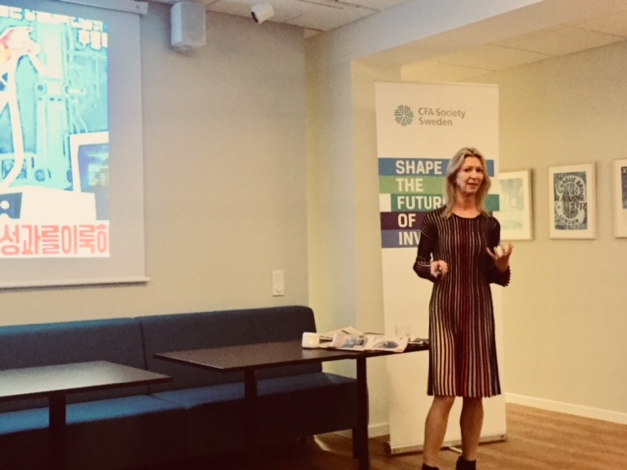 She was invited by CFA Society Sweden to make a presentation entitled How to Leverage Gender Intelligence for Greater Success in Business, as part of the CFASS Gender Finance initiative. The event proved very popular and was well attended by both men and women. Barbara Stewart is a CFA (Chartered Financial Analyst) charterholder with over 20 years’ experience as a HNWI portfolio manager. She was always interested in women’s attitudes to money and has read extensively on the subject. She is the author of the Rich Thinking series of white papers on Women in Finance, where she shares her interesting insights from her personal interviews with over 500 leaders from all over the world. You can read her articles on http://barbarastewart.ca/. Stewart doesn’t see gender as something black or white but argues that all of us have something of both and suggested that there is more variation within gender than between genders. She believes that “We can learn from each other and see things from new angles, which leads to smarter decision making.” Companies need to hire more women for diversity and stand to benefit from their intuitive powers. Over the past decades, the penetration of women in the workforce has increased, and there are now many successful women who are business leaders. Women tend to live longer and need to manage their finances when left alone. This creates a new target market of the financially confident women. Businesses need to understand the power of this market and their networks in social media, etc. because the financially confident women change the way we do business, and they need a female-centric communication style. What motivates the smart female customers? Out of a sample of “smart” accomplished women interviewed by Stewart, 73% learned about money from informal sources. It was found that women want a relationship with their investments as they want to feel emotionally engaged. They are interested in returns but less attracted by the details of P/E’s etc, and more open to opportunities that matter to them regarding benefits to the world or other women. 25% of women questioned said they invest in businesses directly related to their personal cause, with substantial amounts of capital now destined for non-traditional asset classes. Stewart emphasised that “women are not risk averse, they are risk aware”. They tend to take longer to make decisions, as they do their homework, and then they take calculated risks. In terms of nuances in decision-making across genders, it was suggested that women tend not to be interested in buying stocks for the long run; the compounded rate of return is not all. The “Barbara Stewart Propensity to Invest Equation” is: Interested + Aligned with Values = Will take Risk and Invest. Values in this context will be concepts like Love, Truth, Right Conduct, Peace, No violence. If they stray away from their values, women feel they are vulnerable to crooked marketing. 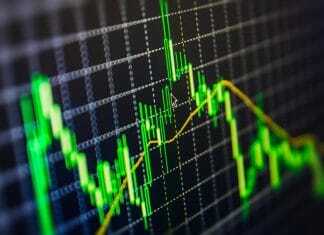 Women are increasing their participation in the financial markets. Stewart’s study finds that “younger women think investing is cool -they want to design their lives”. They are active in Share Village, the iFundWomen crowdfunding platform for women-led businesses, GoldBean, etc. These women become financially independent: “I make my own money, I make my own decisions.” As an example, 25% of the world’s FX market is dominated by Japanese retail investors in the form of housewives, the proverbial Mrs Watanabe. In response to a question from the floor about how employers can better attract women to their workplaces, Stewart replied that women are attracted to workplaces with women at high corporate positions. This observation indicates that women have real career opportunities in these workplaces and suggests that the problem of glass ceilings are less present. She also proposed that companies should form small informal discussion groups with both men and women, to talk about themes of concern to communicate and share ideas. Today, March 8, Stewart publishes her annual white paper, with the title “Rich Thinking, 2018”, which is available here. Previous articleWhy?… but of Course!